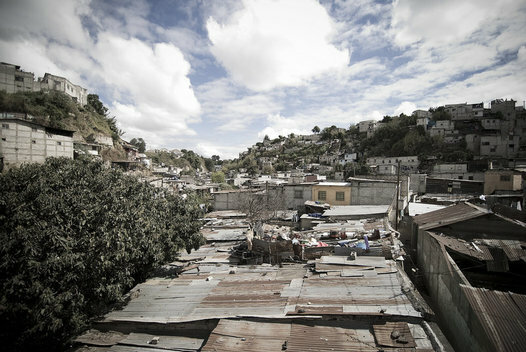 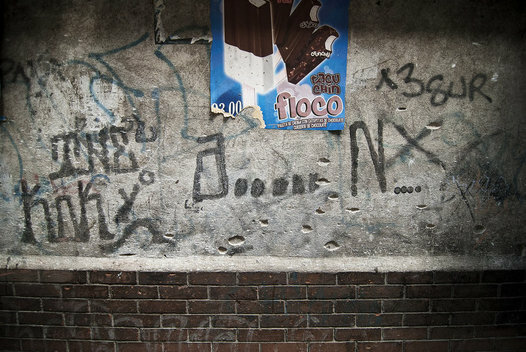 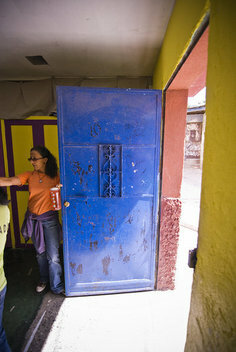 Bullet holes act as a reminder to the inherant danger of living in La Limonada. 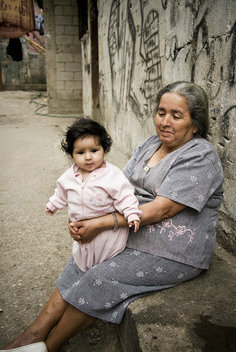 A proud grandmother holds her grandaughter in the alley with bullet holes in the wall behind her as reminders of the violence in her barrio. 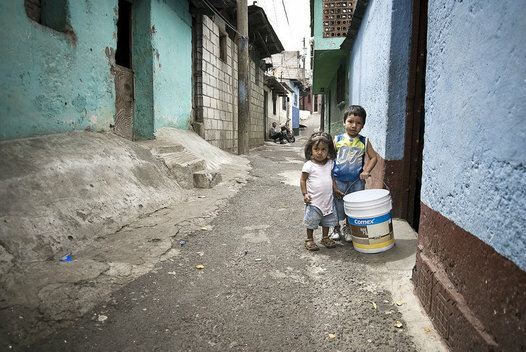 Children helping with chores in the La Limonada slum. 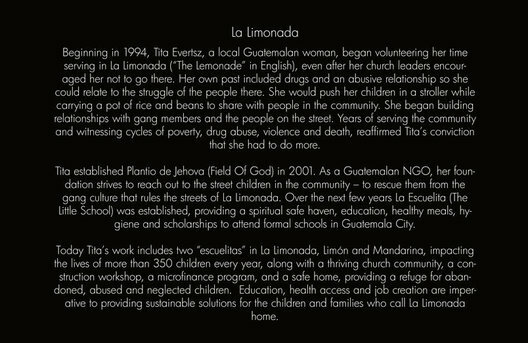 Tita Evertsz established the Limonada and Mandarin schools to provide a spiritual safe haven, education, safe meals, hygiene, and scholarships to the children on La Limonada. 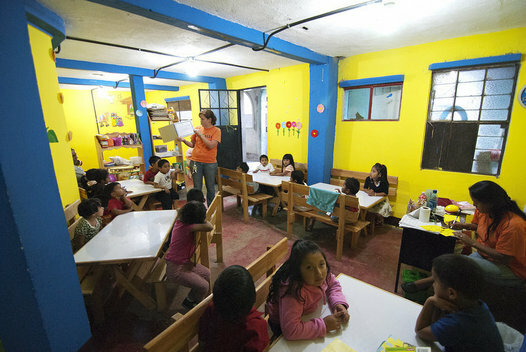 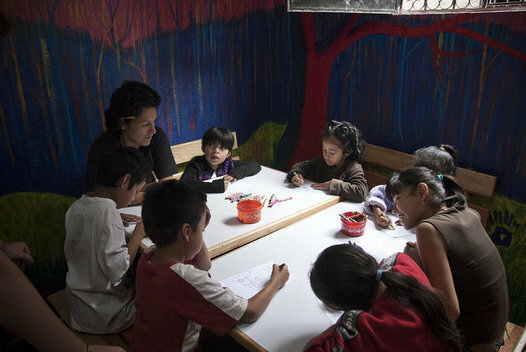 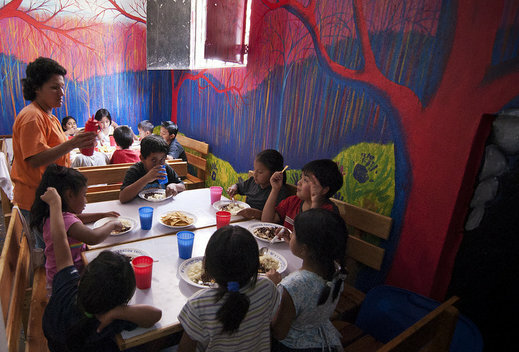 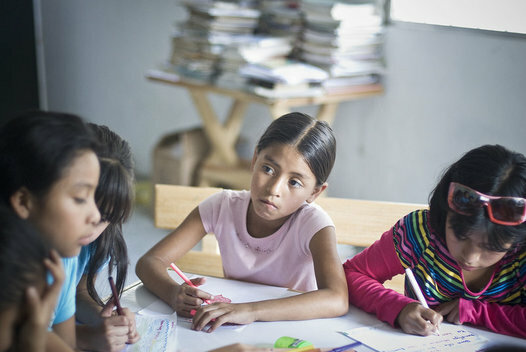 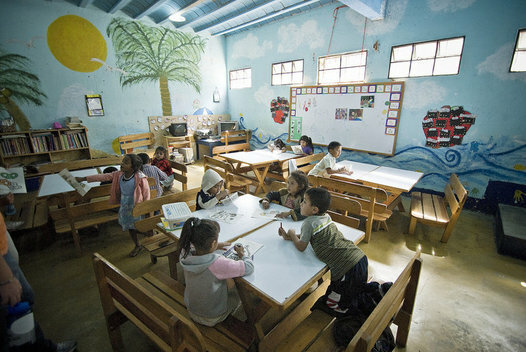 Inside the Limonada school children are given additional schooling from their public education. 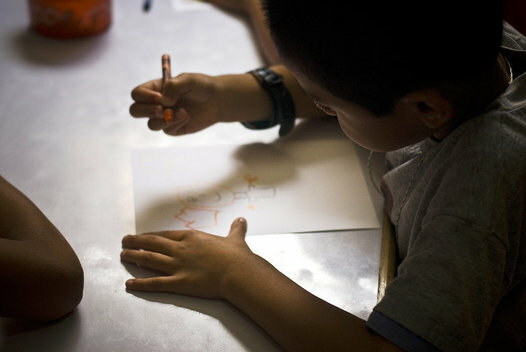 Inside the Mandarin school children are given additional schooling from their public education. 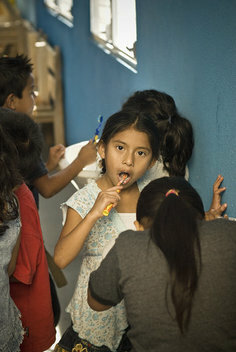 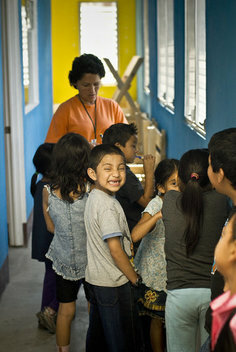 Inside the Mandarin school children are taught hygiene skills such as brushing their teeth. 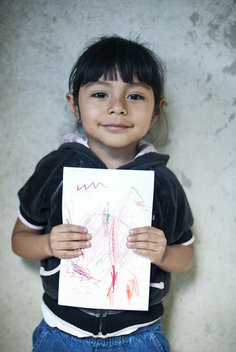 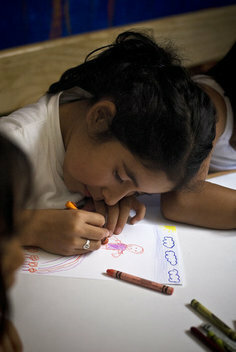 Valeria proudly holds up a drawing she drew for the children in Northfield, Minnesota. 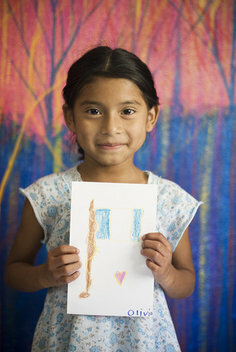 Olivia proudly holds up a drawing she drew for the children in Northfield, Minnesota. 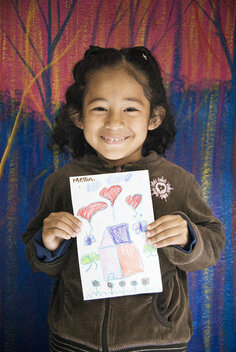 Mellin proudly holds up a drawing she drew for the children in Northfield, Minnesota. 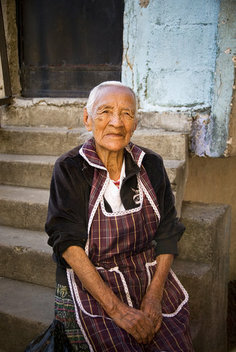 As an elder neighbor of La Escuelita (The Little School), she has been witness to the violence, drug abuse and poverty within La Limonada.